Forget the winter blues, when it comes to the holiday season stress and anxiety are more prevalent than the crowds in the department stores. To mitigate some of these negative emotions, we have style tips to calm your mind and amp up your mood. It’s no secret that beauty and self-esteem are indelibly linked, so feeling good about your appearance can be the quick fix to carry you over the holiday hump. Dry, itchy skin can be down right irritating. Plus, nothing matches with red, flakey skin. Stopping the inflammation starts in the shower. 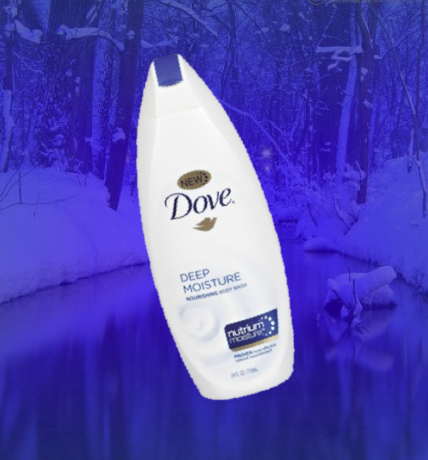 For a deep moisturization that restores healthy skin, try Dove Deep Moisture Nourishing Body Wash with NutriumMoisture. The formula is fortified with the highest level of nutrients naturally found in skin that can absorb completely to nourish deep down. We love it because after a hot shower, skin felt soft and smooth – not tight and itchy, like a wool sweater that was two sizes too small. It’s hard to feel happy when your body is uncomfortable, so stock your bathroom with this body wash and give yourself radiant skin and peace of mind. Orphan Annie said it best, “never fully dressed without a smile.” When it comes to perking up your affect, begin by changing your behavior. There is a proven positive relationship between a smile and positive emotions. Even if you are feeling down in the dumps, we recommend lacquering on a glamorous gloss and smiling at yourself in the mirror for 60 seconds. 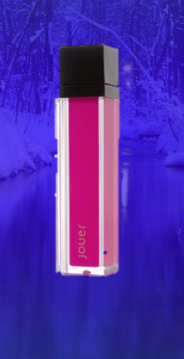 We love Jouer Moisturizing Lip Gloss in Malilbu because it instantly brightens the face, plus according to founder Christina Zilber, Founder and Creative Director, this shade is, “a great pop of color for all skin tones.” Saunter over to your reflection and give yourself something to smile about. There is biological evidence that music can elevate your emotions and transform your blues into a happy tune. Give yourself the chance to glow in the safe, warm fashion of Avon Warm Wishes Earmuffs. Katie Holmes had the right groove when she was spotted wearing a similar pair outside the Broadway theater where she is currently performing. This snuggly accessory has built in headphone so you can bop down the street and tune out your stress as you embrace musical contentment.